Not knowing what to do, it's easier to do nothing. Here's why that might be a mistake. You love your forest and want to make good decisions that keep your land healthy and beautiful. There are more than 20 million family owned forest properties in America - each owner has their own history and objectives. Half of all critical wildlife habitat is found on those individual properties. There are so many different options to consider as a landowner, it's hard to know where to start. "Can I sell some timber without getting cheated or messing up my land?" "What animals and birds are using my land and how can I help them?" "How can I make my forest more enjoyable for my family?" "How do I make sure my kids benefit from the forest the way I have when it comes time to pass it on?" We're expected to dig through a pile of pamphlets, pick our way around obscure web links, and navigate a slew of programs and offers with complicated eligibility criteria and other catches. Not knowing what to do, it's often easier to do nothing at all. Problem is, your woodlot is an incredibly valuable asset. You should be able to benefit from it today and make it more valuable over time. Not doing anything may mean you're missing opportunities to increase your benefits from the forest, and worse, you might be leaving it susceptible to wildfire or invasive species. Actively participating in the care of your forest is the best way to protect your land from damage and make sure it grows as healthy as possible. At WoodsCamp, our team of forest professionals, woodlot owners, and technology developers know these challenges well. 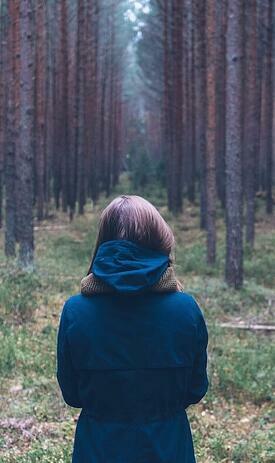 We built WoodsCamp to make it easier for landowners like you to find the right path forward. Our system analyzes millions of data points so you can learn about your forest instantly and be connected to the options most likely to benefit you today. Find your land on our map, get signed up, and the WoodsCamp Engine evaluates the unique character of your forest and identifies a clear path forward based on goals you choose. Get instant access to a free personalized report describing your forest and your next best steps. Give it a try and see what options you are matched with today. 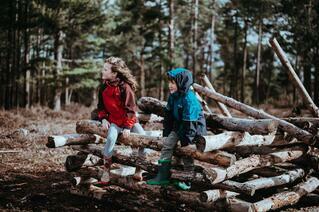 WoodsCamp was founded with the mission to increase the health of our forests and the families that rely on them. We are bringing our tools to Alabama thanks to a partnership with the American Forest Foundation and the My Alabama Woods collaborative. WoodsCamp is an internet tool provided by the American Forest Foundation to help private forest landowner’s connect with programs, services, and professionals that help them care for their land. 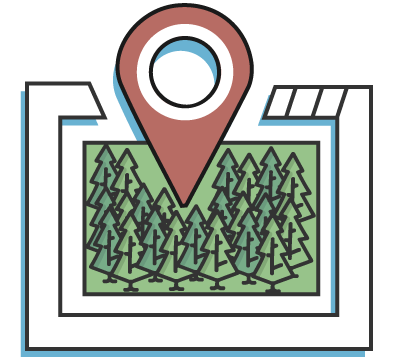 By leveraging the best available mapping data, WoodsCamp creates a FREE personalized report highlighting opportunities matched to the landowners’ goals and the condition in their forest.